This article is also being published on EV Obsession and EV Sales. The Chinese market had more than 34,000 new EVs zooming the streets last month, a 154% increase over the same month last year, in-line with the annual growth rate, with the EV market share edging closer and closer to the fabled 1%. To have an idea of how significant these numbers are, in May, Europe had 15,000 units registered, approximately the same number that the US had in June — if we combine these two numbers together, we have 30,000, which is still less than the Chinese EV market had last month. So, it’s safe to say that China currently sells more plug-ins than Europe, the USA, and Canada combined(! ), and none of those other markets are growing at a 150% rate…. #1 — Kandi EV: One of the best-selling brands of 2015, Kandi hasn’t broken down registrations by model, but most of them should belong to the K11 Panda (seen above) city car, with the slightly larger K17 Cyclone also taking a significant part of the 4,670 units pie. At this point, Kandi and BAIC seem to be the only automakers able to reach similar production levels as BYD. #2 — BYD Tang: The 500 hp “Chinese Cayenne” continues its success story in the EV market. With 3,519 units sold in June, the SUV has improved sales for the 4th consecutive month — its all-time record of 5,503 units is still far higher, but I wouldn’t be surprised to see it broken around October. 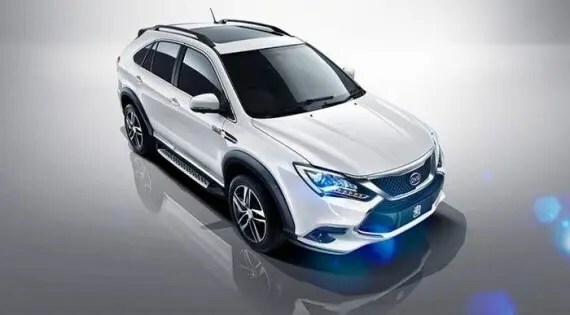 #3 — BYD Qin: The most common plug-in in China, this 300 hp PHEV registered 2,751 units in June, continuing its growing sales trend for the 5th month in a row. Will BYD be able to provide enough units to beat the Qin’s all-time record (4,030 units, July ’15) by September? #4 — Zhidou EV: This tiny two-seat city car has been updated to meet the new “Double 100” standard in China (100 kilometers of range, 100 km/hour max. speed), which is needed to be considered a full-fledged car and be eligible for the government subsidies. So, the 180-km EV is back at four-digit sales, with 2,363 units sold in June, an honorable number for such a vehicle. #5 — SAIC Roewe e550: Shanghai-based SAIC expects to replicate the BYD Qin success with this one. The e550 is the plug-in hybrid version of its 550 ICE best seller. For the moment, it has no reason to complain, as it beat its monthly sales record once again last month, with 2,329 units, so it seems we will see the e550 on this list frequently. In the podium positions, the BYD Qin switched positions with its e6 older brother and reached the #3 position, while the Roewe e550 climbed one position to #5 and Kandi jumped two positions to #7. Outside the top 10, we can see the BAIC EU260 beat its own record, by selling 2,050 units, jumping four places to #13, something that was also replicated by the Zhidou EV city car, which also jumped four positions, to reach #15. Looking at the manufacturers ranking, BYD is the leader with 35% market share, but has lost 5% share in these last couple of months. Simply put, the market has been growing faster than the Xi’an-based company. In 2nd place we have BAIC (12%), followed by JAC (8%, down 1%) in 3rd and SAIC Roewe in 4th, with 7% market share. Finally, looking at the breakdown between BEVs and PHEVs, unlike other markets where plug-in hybrids have the upper hand, here, all-electric cars remain in command, with 67% share versus 33% for PHEVs — which, incidentally, were the same percentages this market had at the end of 2015.